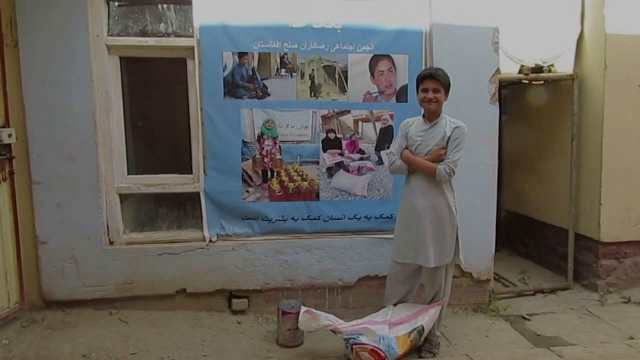 Follow the heart warming story of street kid Habib and how the Afghan Peace Volunteers' project has nurtured his development and education over the last 2 years. Successful grassroots action at work. Since 2012 Voices UK has worked closely with, and whole heartedly supported, the Afghan Peace Volunteers in Kabul. Within that time the APV have become global beacons of hope, with their trademark blue scarf worn internationally by activists and other supporters, who are in solidarity with their struggle. During the last Global Days of Listening on the 21st August, the APV spoke with black civil rights activist, Dr David Ragland, of the Truth Telling Project in Ferguson. He reminded us that the Black Lives Matter campaign is part of a global struggle; that the way a state treats its own citizens is a reflection of how it behaves abroad; that dehumanising and oppressing people is a global struggle which can only be overcome by all oppressed people joining together. We were reminded of the words of Dr Martin Luther King who cited materialism, militarism and racism as the three evils to be challenged. The discussion made for various similarities between the struggle of black and brown people in the US and those in Afghanistan. The conversation, which included people over three continents, noted that, while NATO forces in Afghanistan and police in the US are supposed to serve and protect communities, instead they kill and maim in order to serve outside interests and corporations. In the last 6 weeks Voices UK has supported protest against the British government selling weapons to Saudi Arabia, who are currently on a relentless bombing campaign in Yemen with 3700 people killed since March 2015, 900 of which were children. The women's protest took place at Farnborough Airshow in front of a BAE Systems Eurofighter Typhoon. The protest resulted in police harassment, which included a stop and search in the bar of a Holiday Inn. 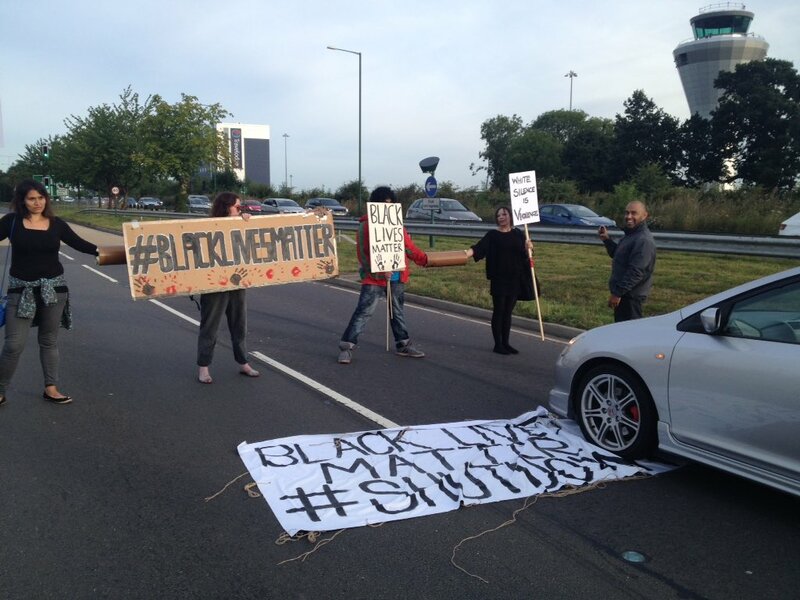 We also took part in the Black Lives Matter national blockade which ended in mass arrests. 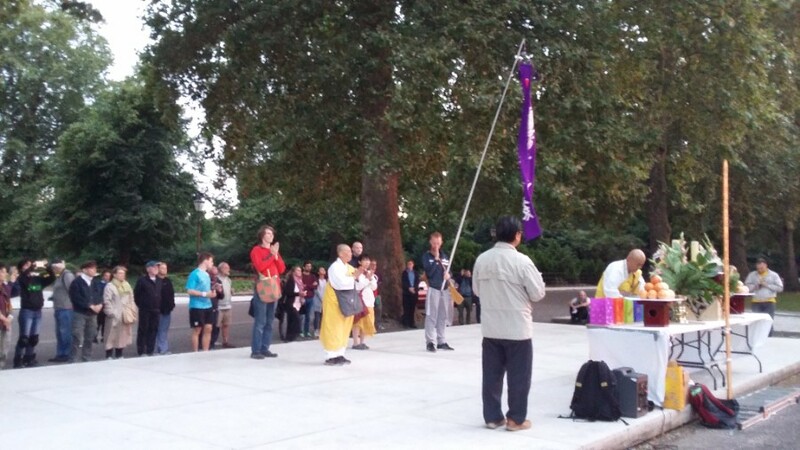 The protest coincided with the 5 year anniversary of police shooting Mark Duggin and a video made by BLM UK, highlighting the various forms of racism within the UK. The national protest was directed towards racist policing, systemic racism and a stand against anti immigrant sentiment which has gripped Britain post Brexit. A week after the demonstration, black footballer, Dalian Atkinson, died as a result of being tasered by the police in Telford. In Britain black people are 3 times more likely to be tasered than whites. 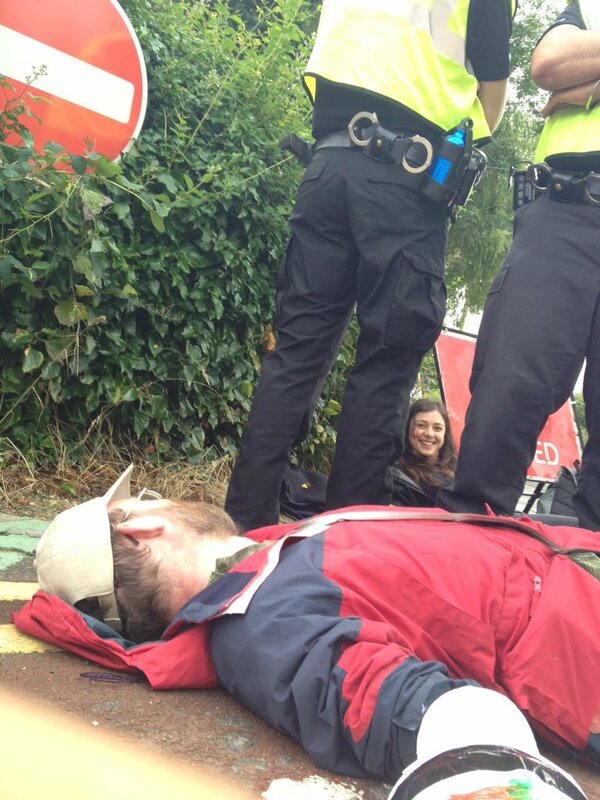 We were also part of a blockade at AWE Burghfield, just weeks before the parliament vote on Trident. It's currently becoming extremely clear to the ordinary person that the current system ruling the world today is not working. It's also becoming clear that if things are to change then people everywhere need to take action now. Hope and global change are being led by the younger generation who are mobilising within their communities and demanding justice and equality. The global shift has started. We continue to closely support the Afghan Peace Volunteers and all people resisting oppression. VCNV was invited to speak about the current struggle in Okinawa. 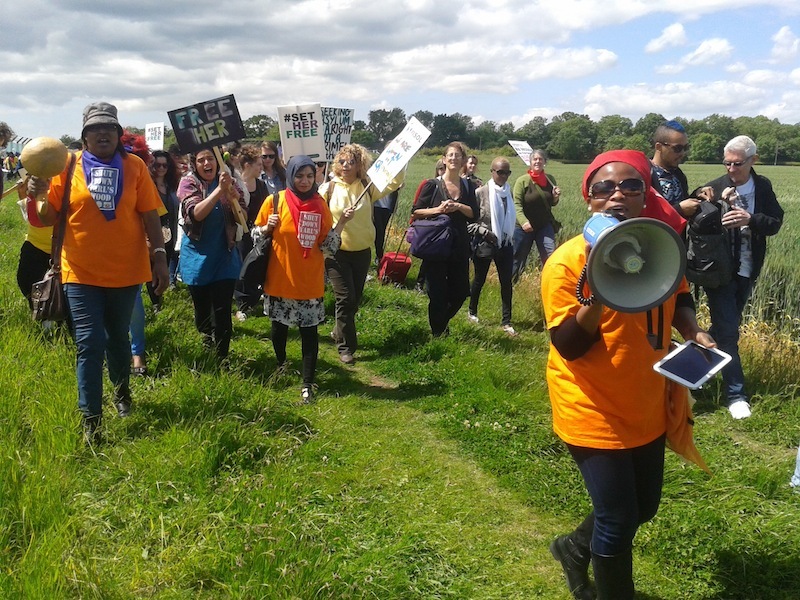 This national demonstration is the 9th demonstration at Yarl's Wood, led by Movement for Justice (MFJ), bringing together detainees at the windows of Yarl's Wood (YW), with anti-racist fighters outside from all around the country. These actions are building a mass, independent, integrated, youth-led, civil-rights and immigrant-rights movement: a movement showing the way forward for the masses of poor, exploited, working class and oppressed of all races and national origins - a way we can win.